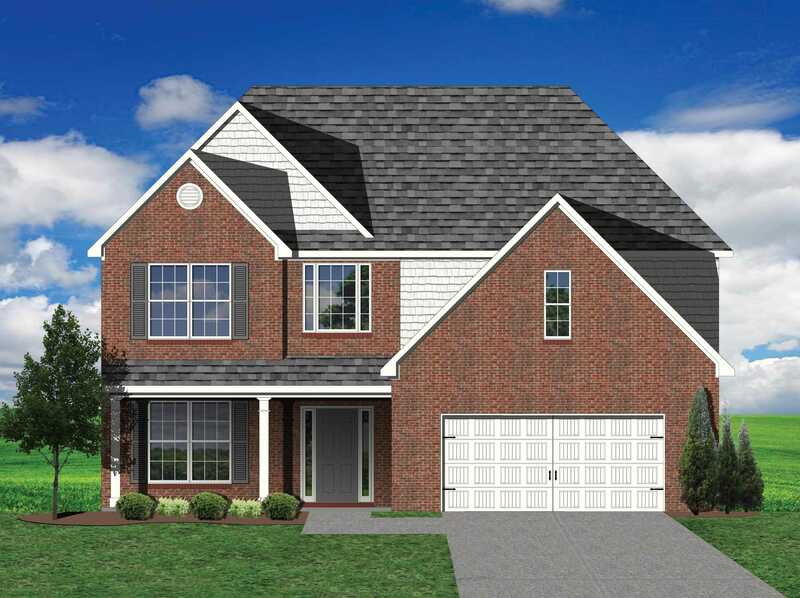 The Spencer II is a first floor master home with lots of second story living space, three upstairs bedrooms and a large media/game room. This home also features walk out attic storage. The family room has a two-story ceiling, two stories of windows overlooking the rear yard, and an inside chase fireplace with adjacent bookcase. A railed catwalk on the second floor overlooks the family room and two-story foyer. Nine-foot ceilings are standard on the first floor. The master bedroom includes a trey ceiling and large bay window overlooking the rear yard. A luxury master bath is standard, and includes a garden tub, separate shower, and a double bowl vanity. The upstairs hall bath is designed for shared use, with a door between the vanity and commode closet. Please, send me more information on this property: MLS# 1068143 – $364,598 – 10634 Bald Cypress Lane, Knoxville, TN 37922. I would like to schedule a private showing for this property: MLS# 1068143 – $364,598 – 10634 Bald Cypress Lane, Knoxville, TN 37922.